“Anti-Semitism Is The Remaining Acceptable Bias/Prejudice Within Polite Societal Discourse.” What’s The Proper Response? SO, just consider the bloody trail to Columbia’s “Center For Palestine Studies” – never mind that an actual nation of Palestine is non-existent! 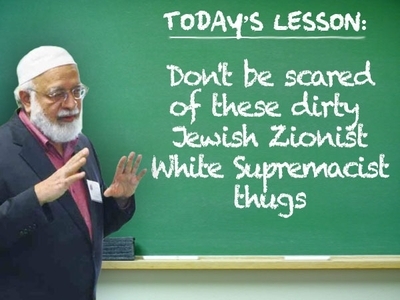 Regardless, isn’t it more than noteworthy that its Co-Director is none other than Rashi Khalidi – a terror-tied (Muslim Brotherhood) prof on the Morningside Heights campus, and wifey, Mona Khalidi, is the Assistant Dean of Student Affairs and the Assistant Director of Graduate Studies of the School of International and Public Affairs? Columbia Trustees: say it ain’t so.